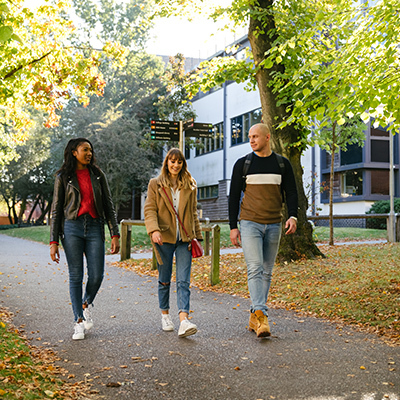 Nick Howlett discusses why it's so important to look after yourself at university, and talks about our Health Matters scheme for first year students. Being in your first year of university is – for most people – a lot of fun. First time away from home, surrounded by people your own age, and with a handy student loan that you’re definitely spending on rent and textbooks and not just keeping Wetherspoons in business. That said, without the watchful eyes of mum and dad we tend to maybe not take care of ourselves quite as well as we should. Instant noodles and a slice of leftover pizza is a good breakfast right? I mean, it’s 5pm and I just woke up, so really it can be dinner too. It’s easy to get caught up in the chaos of uni and living in London – neglecting your health in the process. We all know how hard it can be to look after yourself, and the uni have put together a Facebook messenger service to help you out a bit. Struggling to budget your student loan to last the whole term? It’ll send you tips on how best to plan your spending. Not quite sure how to deal with exam stress? You’ll get some coping strategies to make it easier. Anything from settling into your home and making new friends to practical advice on keeping on top of your physical and mental health. When you get over the creepy disembodied voice talking at you on messenger it’s pretty clever. We can’t all be perfect students who just seamlessly integrate, eat well, exercise well, and not waste money – and no one’s really expecting you to be. This way you get a completely non-judgemental friend sitting on your shoulder giving you a nudge in the right direction about all the bits they don’t really teach you before you leave home. 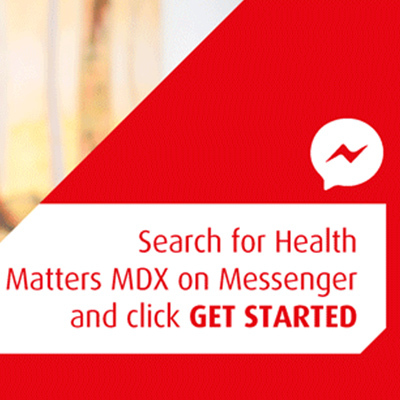 It also gives you important contact details for the various MDX services if what you need is a bit too difficult for a robot on Facebook. If you are wanting to look after yourself that little bit more, the MDX Fitness Pod (that’s a gym, for anyone not clear) offers a discounted rate to students in halls, and there are a wide variety of competitive sports teams and social activities that run throughout the week – which might help you to hit the ground running (get it) when your Facebook robot tells you to save some money on Wednesday by playing dodgeball instead of going for a pint (or several). Sign up here to get your very own advice robot. You can also check out the Facebook page for a bit more information. Sadly it’s not one of those AI’s you can have conversations with, but maybe they’ll add that next year. Take care.